When shelter is just the start. Tragically, freedom from violence is a long road. A few weeks in a shelter isn’t enough to heal the scars of abuse, or to lay a foundation for an independent life. 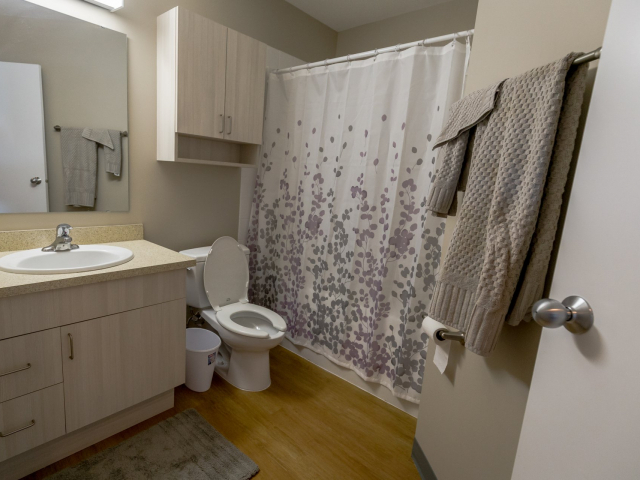 With that in mind, we built a Transitional Supportive Second-Stage Shelter, Serenity Place, a new 14-unit apartment building to meet that larger need. 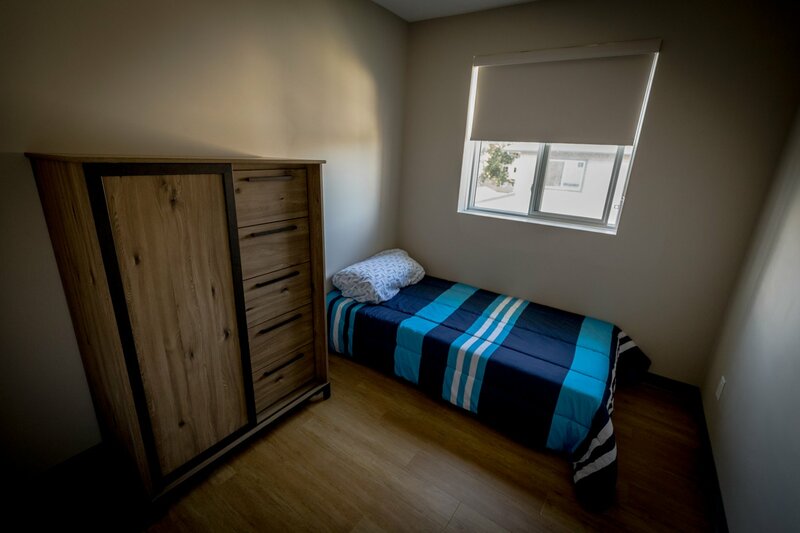 We offer 1, 2, 3 and 4 bedroom apartments with the help of our ‘flex units.’ Each apartment is fully furnished with all the necessities from furniture, bedding, dishes, etc. 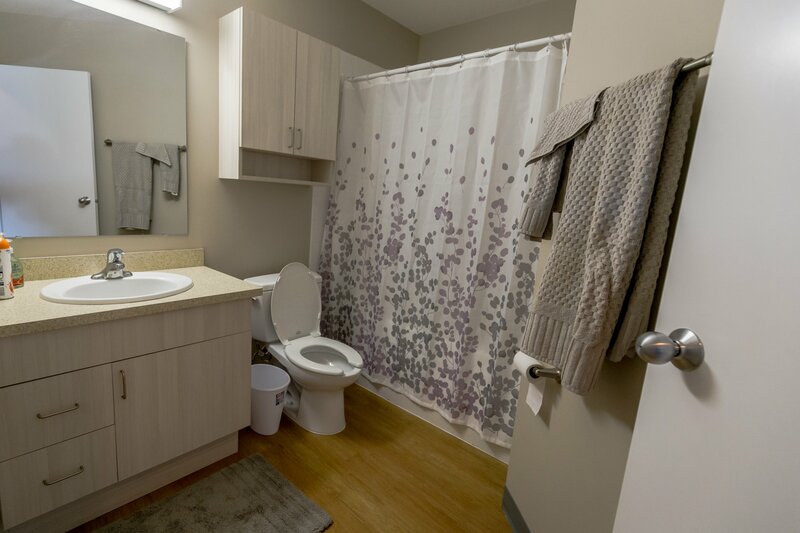 Power, heat, and water is included in the rent. 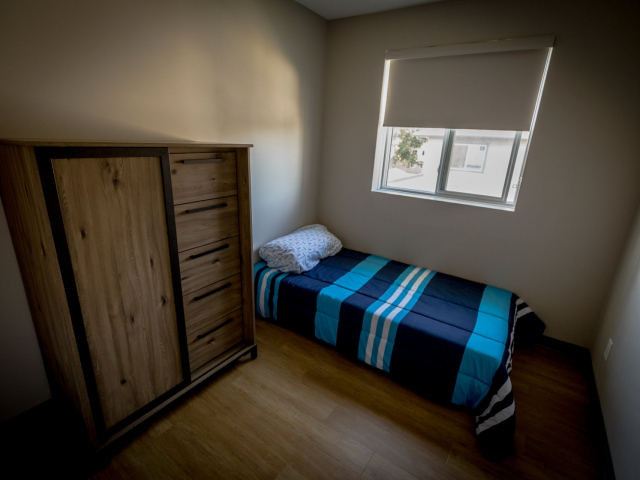 Rent is based on the Alberta Works Core Funding for Shelter or 30% of their income. Pets are allowed. 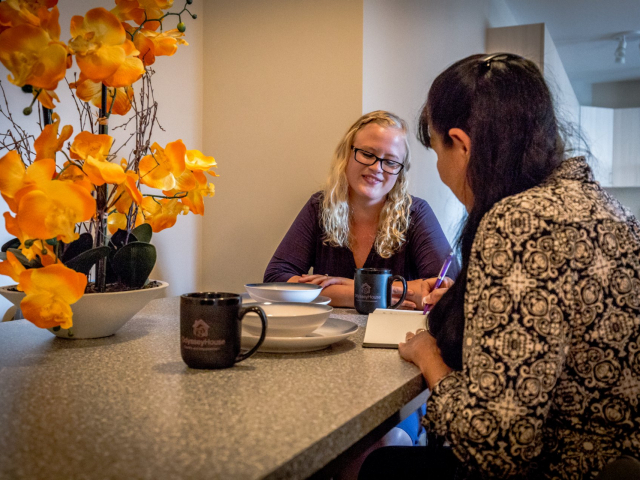 Women can apply to stay for anywhere from six to twenty-four months, depending on their unique circumstances. 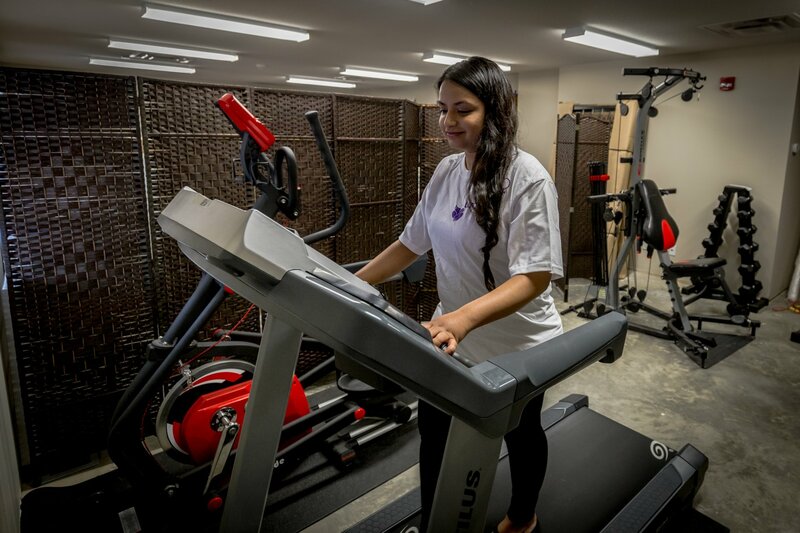 Construction was completed in 2015 and we opened our doors to residents in January 2016. 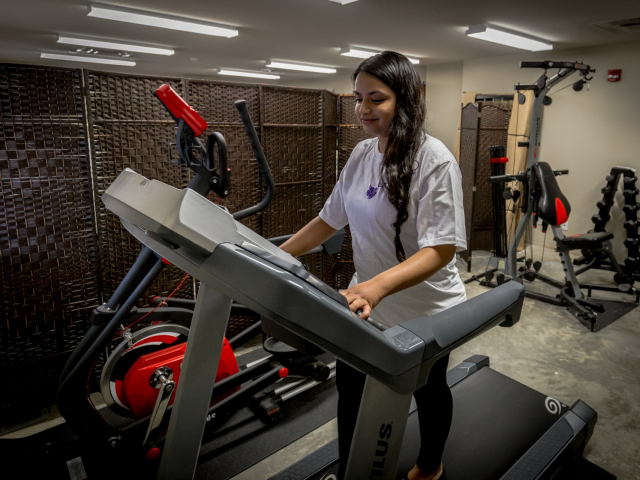 Second-Stage shelters provide a supportive independent home for women and their children. There are a total of 14 Second-Stage Shelters in Alberta. 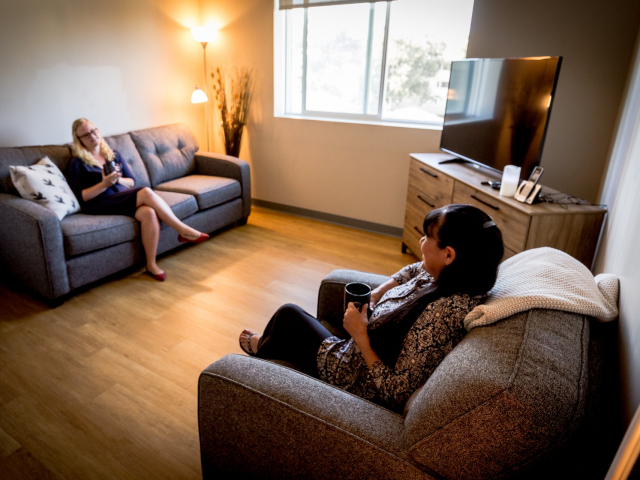 Housing participants will have access to a spectrum of support services, including collective kitchens, childcare assistance, counselling, and life-skills training. 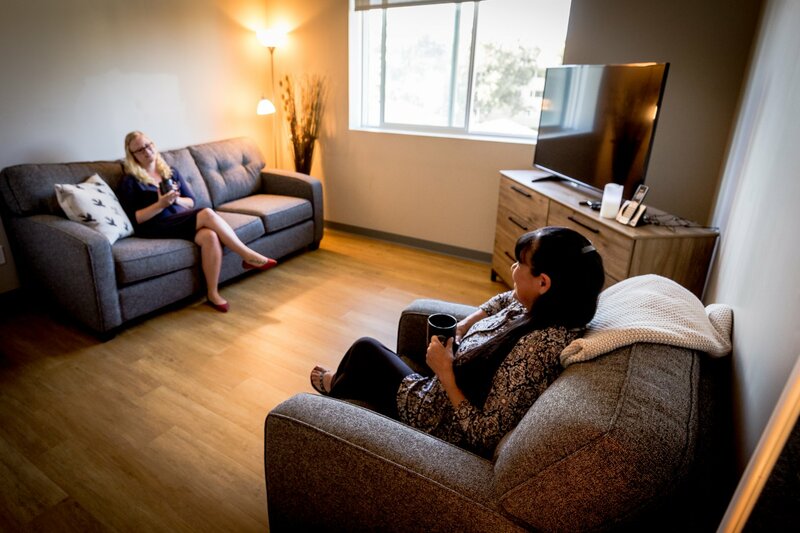 Women may apply on their own to Serenity Place by connecting with our Director of Programs, or be referred to by a health working, support working, police officer, or a friend/family member. Since I’ve been here, I’ve learned a lot about what it means to love myself again and not be afraid to be alone and to be a single mother the workers here are so amazing. I’m blessed to be here and have them in my life. 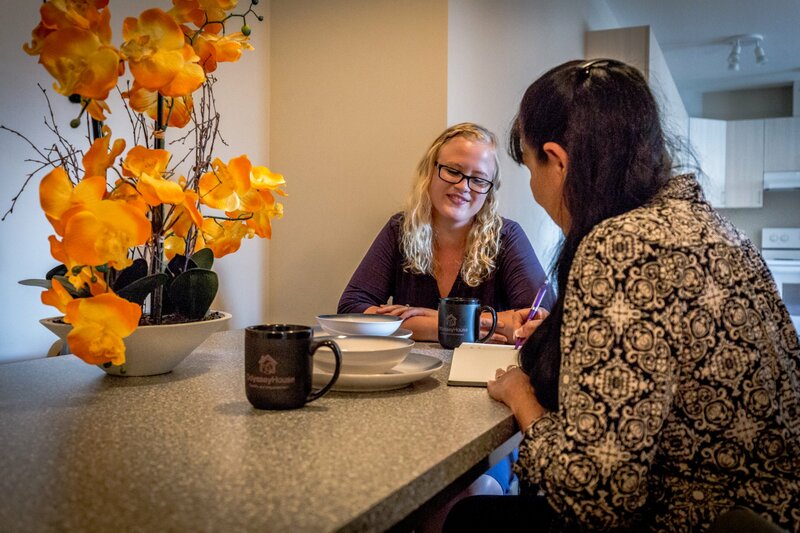 I remember when I told one of our clients her move in date, she teared up and said "I just want to go tell my kids we have a safe home now."